Many of us are definitely guilty of arriving at a new place on a plane or train and looking around for a nearby Starbucks. We crave the familiarity of it, but let’s get real: it’s not exactly a gourmet caffeine experience. With so many different kinds and preparation methods, it’s such a shame to travel to a new country and not try out the best thing they’ve got to offer. 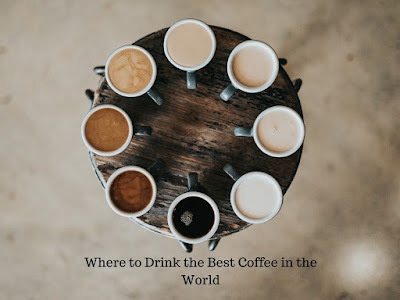 So where to go, what to get on your travels and, most importantly, is it worth traveling somewhere just to get that perfect cup? Coffee is most definitely a staple of Italian cuisine, not because of the coffee itself, but rather because of the preparation that goes into it. And, they follow strict rules. The first one you must never break is ordering a cappuccino after 11 in the morning – it will give you away as a tourist instantly. 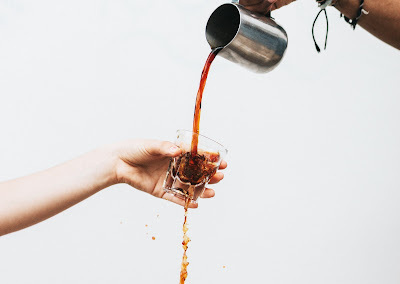 The second thing you should know is that if you order an espresso, you should drink it fast. They drink their espresso “al banco”, meaning they drink it at the bar, standing up. It’s not just because they don’t want it to get cold: there is an emulsion of the coffee’s oils that is there only for a couple of minutes, and it’s when the coffee tastes best. With beans being freshly roasted in shops throughout, Mexico has a very strong coffee culture. 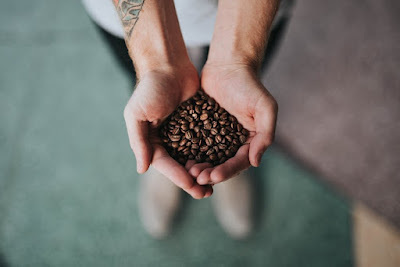 The best of their beans come from Veracruz, and if you are visiting, you should always ask for a cup of Cafe de Olla – a sweet, warm hug for your soul. Because of the special molasses-like sugar they use, the coffee has a unique smell and taste. If you are in Mexico City, look for Cafe Passmar – you most certainly won’t be disappointed. Have you ever imagined sitting in a cafe in the morning, looking at the sun rising over the Eiffel tower? You’re not the only one! The coffee you should be sipping is cafe au lait, coffee served with a side of warm, frothed milk. Visiting Cafe du Trocadero will give you exactly that, and if you get a croissant on the side, you will have a full breakfast – and a full French coffee experience. People’s first association with Australia isn’t usually coffee, but yours definitely will be – after you taste their flat white, that is. Many people don’t know that the flat white originated in Australia, and the mixture of strong coffee with the layers upon layers of frothed coffee wins over even the biggest skeptics. Visit Patricia Coffee Brewers for a coffee experience of a lifetime, or contact one of the many great coffee suppliers in Melbourne where you can find high-quality coffee beans to roast and make according to your preferences. Another country where drinking coffee is not only about the taste – but the experience. If you’re used to the western traditions of coffee drinking, then this slow-sip from a metal cup will definitely feel like a change. The regional coffee is made with the help of a special metal filter in which it is brewed. It’s quite a light coffee, so don’t expect the kick that most Indian food has. Check out the cafe chain Coffee Day for a solid cup, with Italian classics also on the menu. What better way to make a day at the seaside more relaxing than a nice cold frappe on a hot day? In the summer, Greeks prefer their coffee cold and very sweet. 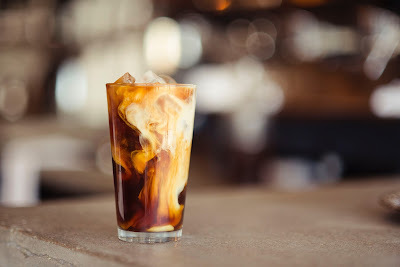 If you order a sweet coffee, you will get way more than you are expecting, with one glass being made with four full teaspoons of sugar, and a splash of condensed milk for good measure. Check out Spiti Mas in Athens for a guaranteed great brunch experience! Now you know where to go and what to ask for to get the best cup of coffee available in the area. If you want to try and recreate it, you can try asking for a recipe – but beware, because most traditional recipes are well-kept secrets!